Cakes Two to Tango by Gwen Kok crochets up into an airy, yet cozy, shawl that’s perfect for gift giving year round. The stitch pattern is easy and repetitive and perfect for beginners. I’ve used Katia Spring Rainbow cakes, but you can divide a Scheepjes Whirl into two, if you’re handy with a kitchen scale as well. It will be a bit smaller if you do, as the yardage of the Katia Cakes are 600 meters each and a Whirl is 1000m. 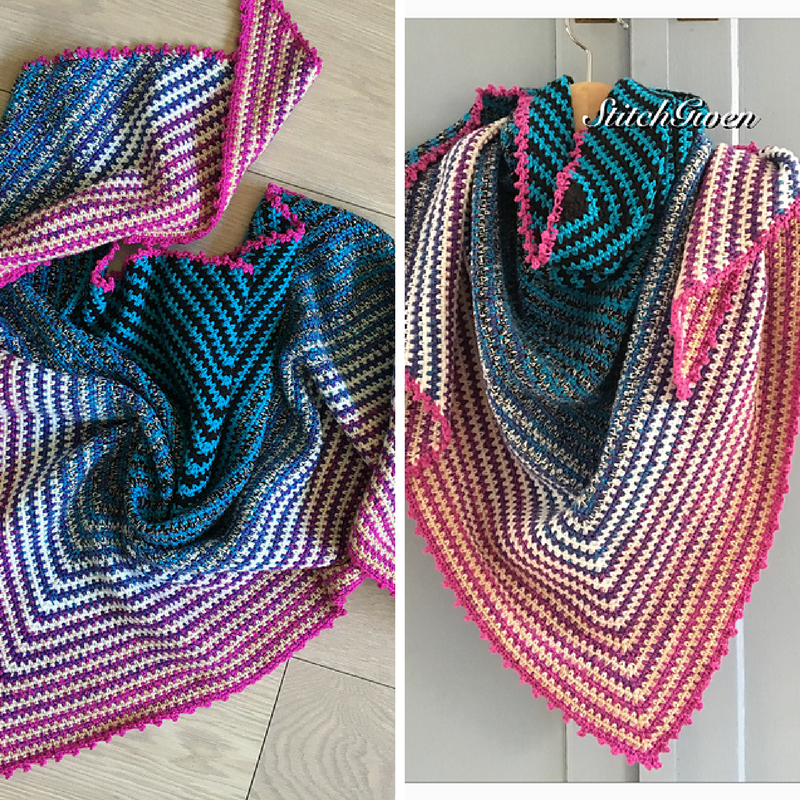 This shawl is easily adaptable in size, want it smaller, stop at the desired length and width, want it bigger, keep going until you run out of yarn! Thanks to Gwen for the article inspiration and featured image.